At the discovery meeting, we will discuss your financial situation, your goals and any details that may be relevant to managing your future financial goals. The initial consultation with us is usually a free service. It is an opportunity to get to know each other, and for us to understand your goals and objectives. 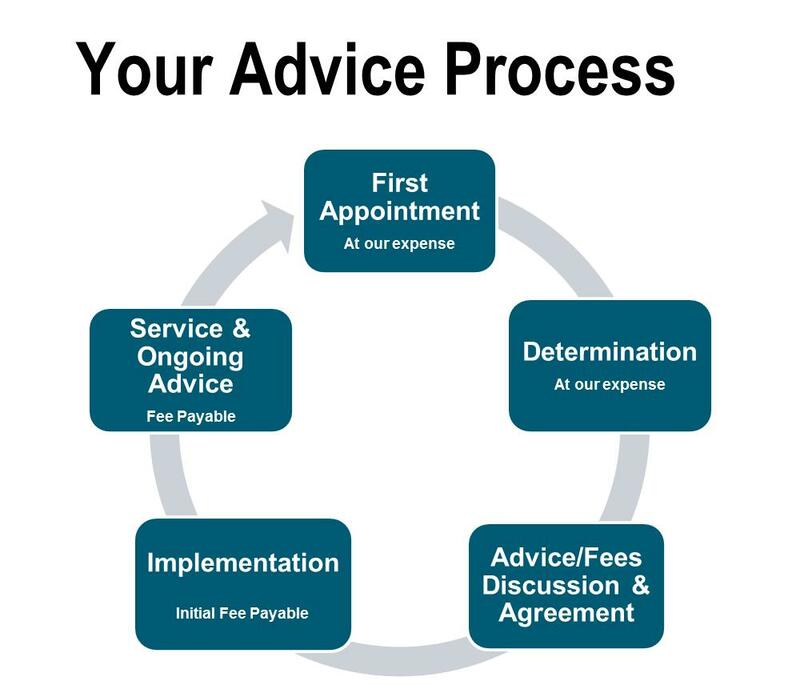 At this meeting you can get a feel for how we may assist you and we will discuss our fees and charges with you should you choose to proceed. We analyse and assess the details provided by you in relation to your financial situation and compile a Statement of Advice based on what our Financial Planner advises. We will arrange a follow up meeting to present the Statement of Advice, to step you through the information being provided and to allow you to ask follow up questions about the course of action we are suggesting. Should you decide to proceed with our advice we will take all the necessary steps to get the plans and paperwork in place. We then continue to monitor your situation and offer reviews of your situation, generally on an annual basis.